In the original Roman calendar, March was the first month of the year. The Ides, always near the midpoint of the month, were determined by the Full Moon between the 13th and 15th. Then came the assassination of Julius Caesar on March 15 in 44 BC; hence the famous line from William Shakespeare’s play when Caesar is warned by a soothsayer to “Beware the Ides of March”. I’ve always thought of this day as welcoming the Lamb of Spring and saying farewell to the Lion of Winter. Better days ahead…the cold is gone for another year. Time for planting seeds and tending the garden. 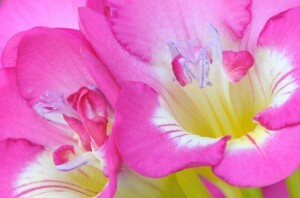 Bulbs such as freesia (my favorite), daffodils and hyacinth reveal their beautiful flowers and pungent scents. I know two people born on this day. My Swedish girlfriend, Margareta Sjodin, I met while living in Malibu in the mid eighties. She is an artist and actress who played the Swedish version of Goldie Hawn from “Laugh In”. I went to Stockholm one summer as her guest with my youngest daughter. We spent ten fascinating days adjusting to the northern lights that keep the night skies in twilight. Every morning we would walk the 700-year old cobblestone pathways, cross the nearest bridge next to the Baltic Sea and enter the Grand Hotel’s breakfast buffet. Even in summer the winds can be chilling so I must admit our American diet called for deliciously fresh and hot French fries as well as Swedish pancakes with lingonberry jam to help keep us warm. As I strolled through the nearby Royal Palace I had a close call when my toe stepped over the line that a Royal guard made in the gravel with his bayonette! Evenings in old town Stockholm are filled with music in the streets and people gathering to dance. Every day at noon for one hour the Royal armed guards and orchestra march through the streets proclaiming it is, indeed, noon! Bra! The other person I know who celebrates his birthday today is Ry Cooder. I met Ry when were both 21. 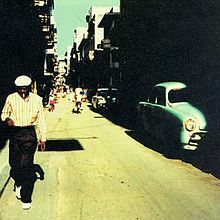 My first husband was producing his albums then – long before his standout award-winning “Buena Vista Social Club” project. I was there in the early days listening to his stories of recording with the Stones and Captain Beefheart. Used to save wine bottles for him. Sometimes the neck of the bottle would fit his finger perfectly so he could customize one to play the winsome sounds of Bottleneck Guitar. He honored Depression-era musicians who used this technique to amplify and texturize their instrument. Ry’s masterful playing won him a reputation of being the best! He always reminded me of a young Gary Cooper albeit with one eye. Yes, Ry has a glass eye. Significant to William Shakespeare and Julius Caesar and to me personally, the Ides of March is a day to remember..
For me the Ides of March represent a new beginning and so much to look foward to. The fresh new growth of Spring, the warmth of Summer, and the spectacular colors of fall all lie ahead. It’s like the morning of the greatest day ever.